Purveyors of Japanese fine dining will notice that Kyuu by Shunsui hold many similar threads to Cuppage Plaza’s Kappo Shunsui. Besides the obvious “Shunsui” connection, the gold doors and trimmings run through both restaurants to establish their relationship. 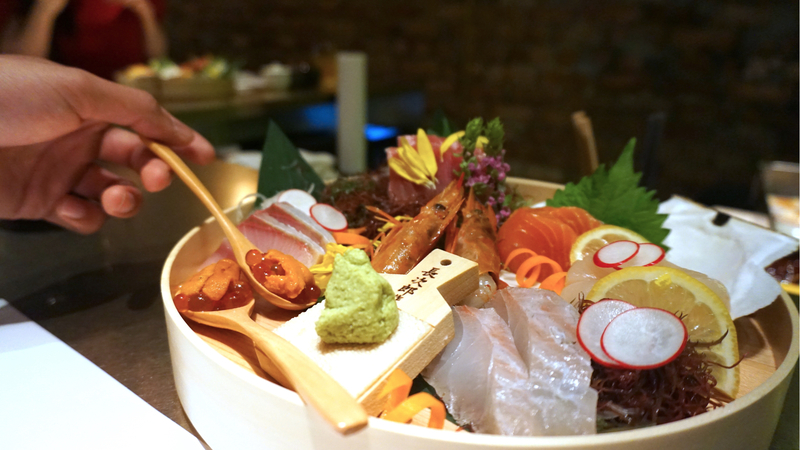 While the two are sister restaurants, Kappo Shunsui’s Kyoto-style Omakase has been making waves, whereas Kyuu has been cautiously chugging along in its opening months. Going in, I really wanted to find out if Kyuu’s 10-course Sashimi & Grill Omakase lived up to the Shunsui gold standard, or whether it was only glitter on the surface. 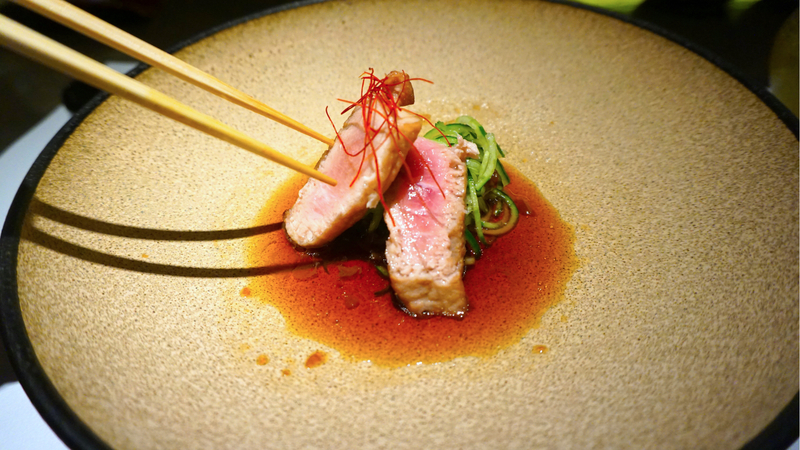 Head Chef Issey Araki’s Michelin Star Pedigree was revealed right at the start, albeit in the most subtle manner. The Kappo Shunsui and one Michelin Starred Askaka Tantei alumni delivered a collection of 3 appetisers, each with its own character. I found the Home Made Sesame Tofu Covered With Starchy Sauce And Wasabi to be sublime. The fragrant sesame from the tofu went hand in hand with the sweetness of the sauce, while the Wasabi didn’t deliver its usual sting. Instead, there was just a slight elevation of heat at the back of the mouth. I also found the flavour of the Soft Simmered Duck Topped With Home Made Miso to be a winner. This miso is no slouch, delivering a certain sweetness to cover any potential gaminess of the tender duck without taking away it’s flavour. This is where I’m a little on the fence. I love a good platter of sashimi, but I tend to sit for long periods of time chowing down on each individual piece because the flavours matter to me. First, the good news. Tuna fatty belly, yellowtail, salmon and scallop were all on point. The scallops were sweet and the yellowtail won my heart. Thick, fat slices of salmon are always an instant win to me, so that tuna fatty belly made my heart sing. Bonus points for the idea to put Uni on Ikura, then serving it up on a spoon for one bite to heaven. 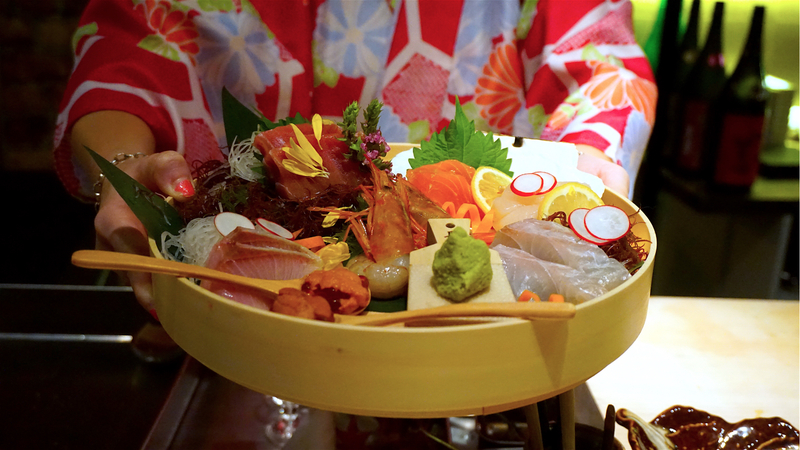 Now, the only blemish on this otherwise perfect sashimi platter was with the red shrimp. While the head of the thing looks legit (it’s huge), it seemed to lack a bit of crunch, and felt limp. Although, I must say that I’m way more sensitive to raw seafood than most people, and my dining compatriots finished their shrimp with gusto. Chef Issey was done with the cold stuff, and in doing so, launched us straight into the grilled items. Robatayaki might seem simple, but to do it right takes perfect timing and an ability to tame the heat of the charcoal. This was the real challenge, and I waited with bated breath to see they could pull it off. The Egg plant with Sweet Miso doesn’t sound like much, but crushed my expectations completely when I took my first bite. 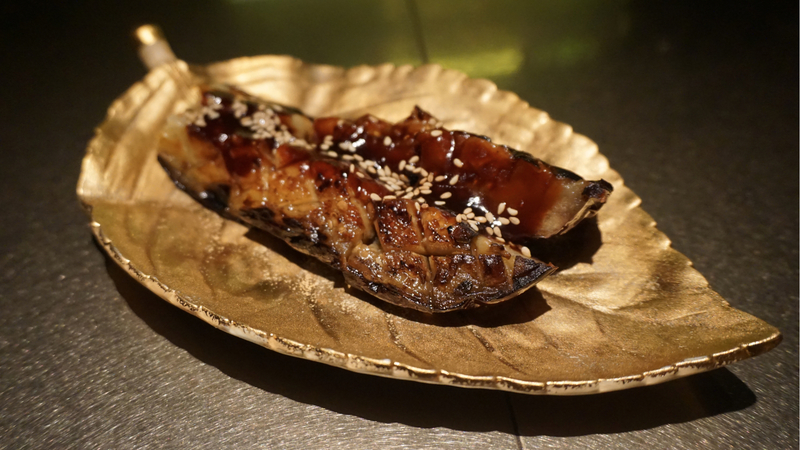 The egg plant was actually really juicy, and that miso provided the flavour lift required to drive the dish home. 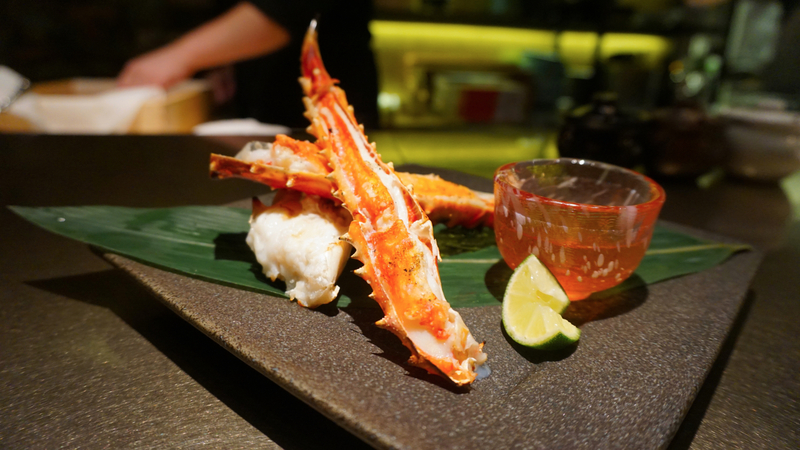 While the grilled prawn was pretty solid, what really drove this grill section home was the impressive King Crab with Vinegar and Sudachi Lime. Giant legs of a King Crab that gave off a slight char as I started chewing on the juicy flesh of the crab. While my dining compatriots were definitely more disciplined than me, using their chopsticks to force a divorce between shell and meat, I adopted more hands-on approach, cracking shell and pulling meat out with my hands to get to the tasty bits quickly! Besides the crab, the Tuna Belly with Truffle Ponzu made an impact on me. It’s cooked evenly on the outside, and the impeccable timing of the grill master shows from the slight pinkishness of the meat on the inside. I loved how the tuna took in the ponzu sauce so that when I bit down on it, the ponzu oozed out and mixed together with the fat of the tuna. That was followed by a wonderful rendition of Fruits Tomato with Setouchi Salt! 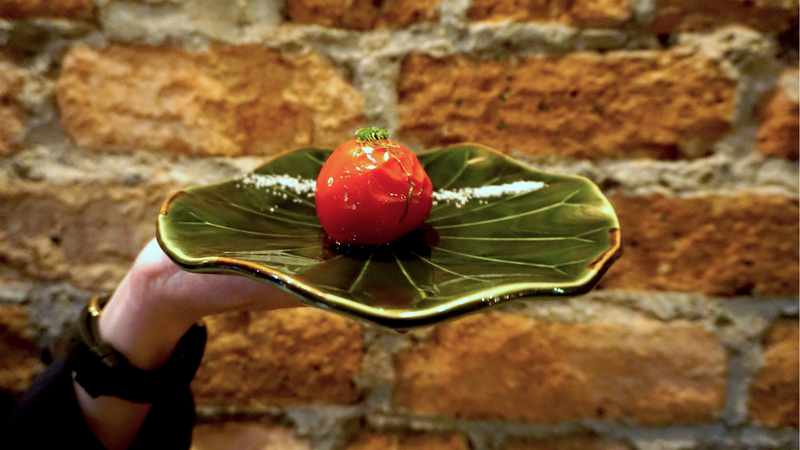 This beautiful red tomato is imported from the Oita prefecture, then grilled to juicy perfection before served up with a side of Setouchi salt. The tomato is bursting with sweetness, and any acidity that might distract you from the sugars is cut out by the salt on the side. It’s hot, so I recommend leaving it to cool off for a bit before digging in. 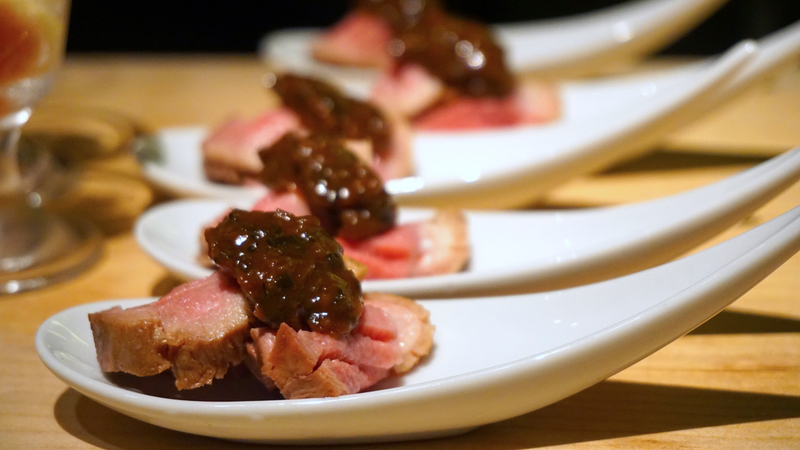 The final dish on the grill menu is of course, the star of the show: A4 Kagoshima Wagyu Beef Aitchbone With Red Miso Fond De Veau! I have to say, the portion is generous, and the finishing of the meat is perfect. It’s definitely got the flavour of the grill, but it retains the medium rare flavour that steak connoisseurs know and love. For post-office drinking sessions with a crowd of close associates, Kyuu’s setting is perfect. It’s large selection of alcohol, solid grill dishes and emphasis on service ensures maximum comfort and enjoyment. During my tasting, I saw groups of professionals drinking and chatting away while having their Omakase meals, so this is definitely not a serious and stuffy place. Date nights could also be awesome if your partner enjoys an energetic bit of service. 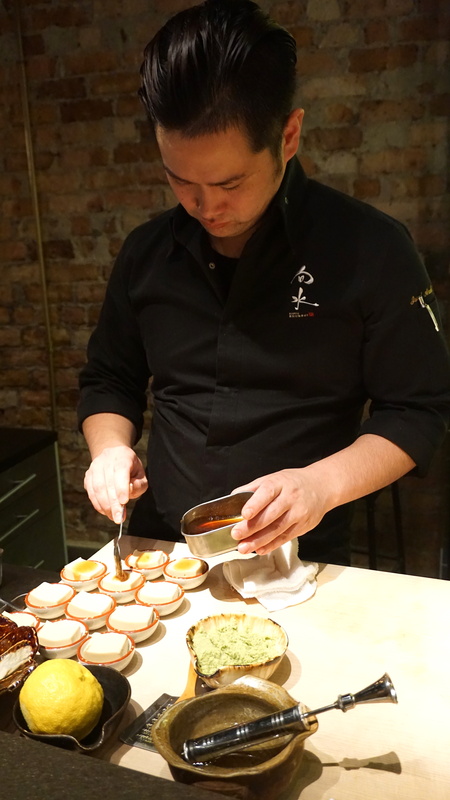 Chef Issey’s awesome Hokkaido Rice Nanatsuboshi Covered With Salmon Roe is served by Chef. He heaps large scoops of salmon roe onto your rice, until you call it quits. 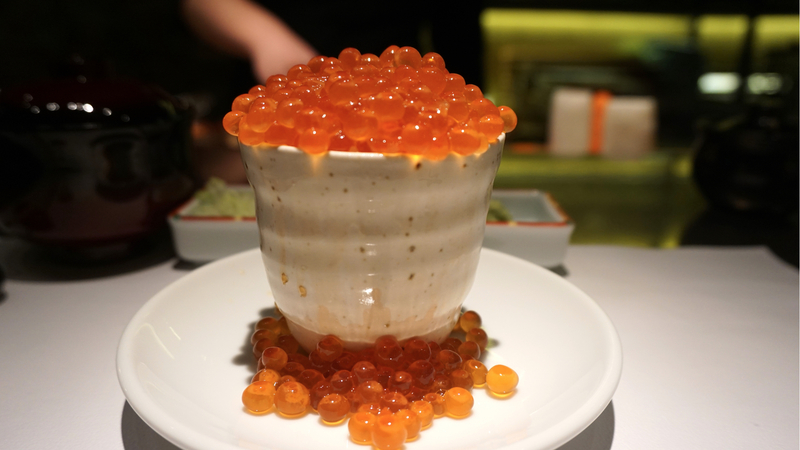 This results in an overflowing bowl of lovely salmon roe and a novel experience to close the night. Thanks for this recommendation, man. This was my first experience with omakase and for a special occasion too and it was super worth it. I love the cheerful staff and friendly chefs who made the omakase dinner so warm and welcoming. Didn’t feel stressed about being on my best behaviour thanks to the great team at Kyuu! Wow, there’s a lot going on here. Everything looks so delicious including the beef. I don’t think I would go too heavy on the ikura. Curious if you can taste the different between A4 and A5 beef? Yes. 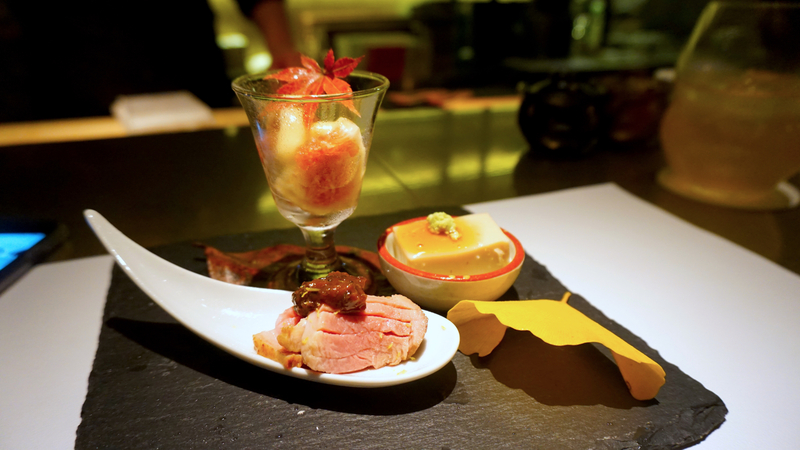 It’s a smorgasbord, and the dishes sort of touch all the key flavour points as you go deeper into the omakase. THe difference between A4 and A5 is that I would not order A5 Wagyu cooked in any form, and will eat A5 raw, or as a Tartare. A4, when very lightly barbecued, is tender and flavourful. 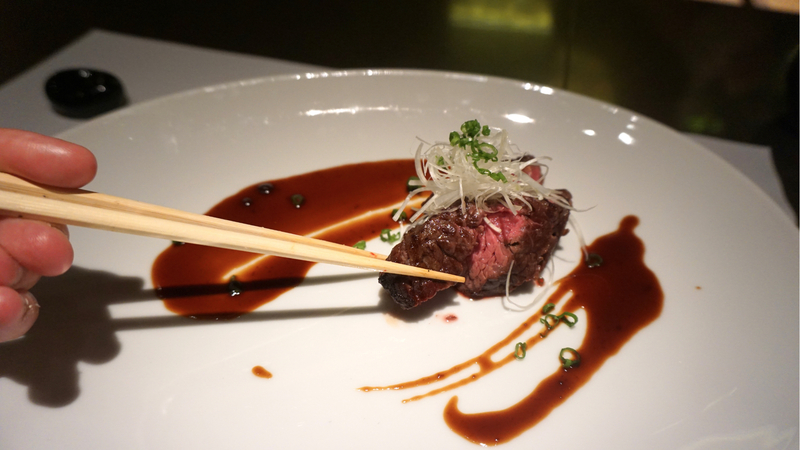 If you want good A4, try Matsusaka M in Osaka.